Over four years after Central Bank of Nigeria (CBN) issued a directive to mobile money operators and Nigeria Inter-Bank Settlement System (NIBSS) to achieve interoperability among schemes which involves the transfer of money electronically from one person to another using a mobile phone still operates in fits and starts. 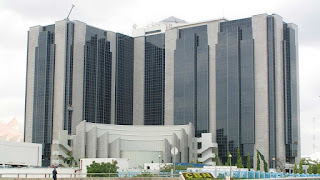 CBN had directed Mobile Money Operators (MMOs) in the country to fully connect to the National Central Switch (NCS) before February 28, 2013. The CBN gave the directive in a circular entitled “Timeline for Interoperability and Interconnectivity”. The circular was signed by Mr. Dipo Fatokun, director of banking and payment system.The circular stated that full connection to NCS would enhance MMOs’ “interoperability and interconnectivity “. However, Nigeria CommunicationsWeek gathered that after mobile money operators have connected to NIBSS a fully interoperability is yet to be achieved in the ecosystem. Victor Olojo, national president, Association of Mobile Money Agents of Nigeria (AMMAN), at the association’s 2nd annual conference held in Lagos told Nigeria CommunicationsWeek that interoperability has continued to hobble the growth of mobile money in the country. “Interoperability has continued to remain a major challenge for us in this industry, especially agents. Because, we deal with consumers who cut-across different mobile money operators and banks, for instance, if I’m an agent with bank A and I’m unable to do transactions with Bank B with the device of Bank A that is not really the idea of financial inclusion. “Financial inclusion should enable people irrespective of whatever financial institution they are operating. It means, if I have a Paga wallet I should be able to send money from my Paga wallet to Quickteller or PocketMoney wallet. Presently, this is not happening. What we have in the market place today is using different point of sale terminals for different banks, in that regard, I ‘m using 10 PoS for 10 banks. The ideal situation should be one PoS from Bank A should be able to attend to customers from nine other banks. “That will solve the problem and the money I spent in buying the other nine PoS for other banks could be invested in the business. Imagine investing N900,000 in other areas of my mobile money business that will assist in driving financial inclusion. If interoperability issue is resolved, it means a problem of financial inclusion would have be adequately addressed. Olojo also decried inability of banks to grant their members facility to grow their business especially Bank of Industry. According to him, ‘Bank of Industry says mobile money is a high risk business and therefore not ready to give us loan facility’. Emmanuel Okoegwale, principal associate, MobileMoneyAfrica, said there are different levels to achieve interoperability. It could be platform, agency or even via other channels like merchants. “Essentially interoperability enables the acceptance of e-money seamlessly across providers, agency network and event merchants. Interoperability for agent revolves around agents’ ability to meet the needs of subscribers across multiple providers for cash out and cash in service, same way ATMs don’t discriminate between cards of firms that had entered into interoperability agreements at National or even at international level. It significantly reduces the cost for ecosystem players across agency network,” he said.